Originally published in 1823. The general format is to list all reasonable roads that connected the main towns in Scotland, with intermediate towns and villages shown, and distances given. In a parallel text, a running commentary is provided of what might be 'observed' by the traveller. Inns, 'which furnish post horses and chaises', cross roads, the names of gentlemen's seats, and the 1821 census populations are all detailed. 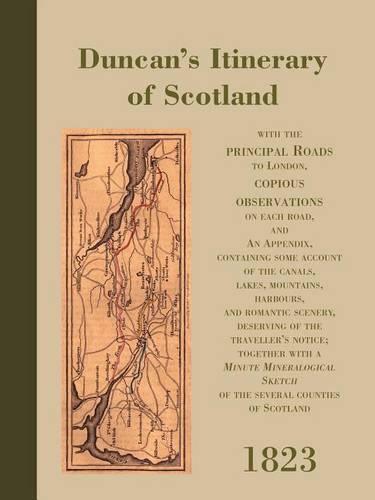 Included in the extensive Appendix are all the routes by canal, and all Fairs in Scotland.